We work with our clients in their homes, in their real world, to transform this same world that has triggered the maladaptive, self-harming responses into the healing environment or healing milieu. There’s a sort of psychological and spiritual alchemy to this that begins with personal responsibility, agency, engagement and moves toward discovery of and engagement with personal meaning and purpose. Active Recovery Network uses an interdisciplinary team approach. Our case managers, coaches, and therapeutic mentors encourage and challenge our clients to move through their resistance and beyond self-imposed, limiting thoughts and beliefs. We work to inspire action toward values-based goals daily and serve as a sounding board to encourage our clients to meet and overcome internal and external obstacles. We utilize both Assertive Community Treatment and Intensive Case Management models, fully utilizing the community in a way that supports our client’s vision of their best, most thriving self. 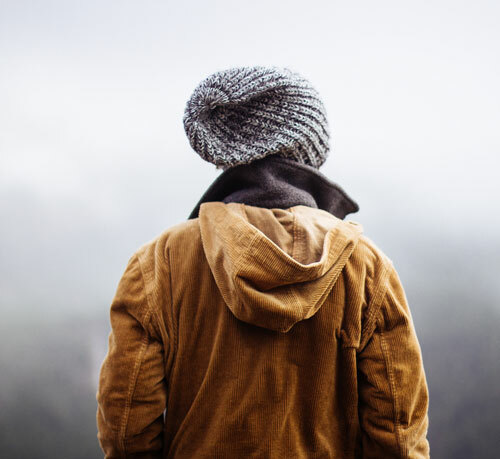 Our mission is to provide in-home and community-based addiction and mental health recovery case management, coaching and care coordination for adolescents and adults. We provide pre-treatment assessment and support, work concurrently with treatment, and provide integrative aftercare recovery support. We utilize a multi-disciplinary team to deliver client-centered, evidence-based, strengths-based, growth and solutions-focused strategies to engage our clients in creating healthy, meaningful lives. 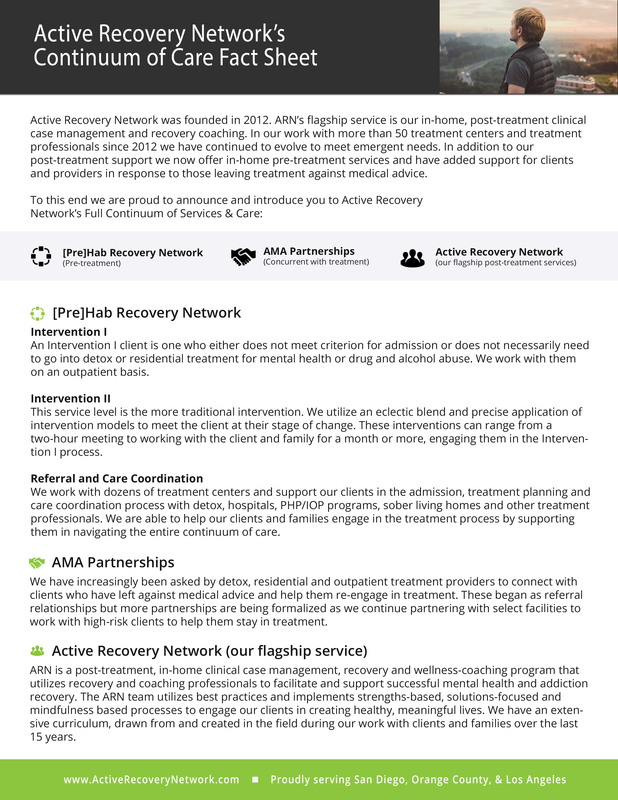 Active Recovery Network strives to be the gold standard for in-home and community-based mental health, addiction recovery case management and coaching programs in the United States. We aim to integrate our work and care into the community and team up with other service providers in a way that supports and engages our clients in moving toward their recovery and wellness goals. We are driven to be an advocate for healing and growth for our clients and families and to provide value to them and to set the standard for ROI in the industry. We believe that the best environment for healing, growth and learning is a non-judgmental one in which personal growth and healing is the common language. We value a parallel process in our work with our clients and families and our staff is founded upon continued personal growth, learning, challenge and optimism. From this platform and focus on personal growth and learning we are able to create a normative environment and culture where our clients are able to experience a warmth, understanding and commonality that expedites the relationship building process between them and the clinical team. In addition to working in our client’s homes and teaming up in a collaborative way with clinicians to provide wrap around case management and recovery support, we also don’t use “Recovery Coaches”. We have found it more beneficial and more effective to utilize clinicians in our work and deploy them in the field as coaches. This allows our clients and families to have well-educated, clinically seasoned and sophisticated staff working with them as coaches, accountability partners, mentors and advocates. This is one of the reasons we are the go-to referral resource for many treatment centers, psychologists and psychiatrists in town.